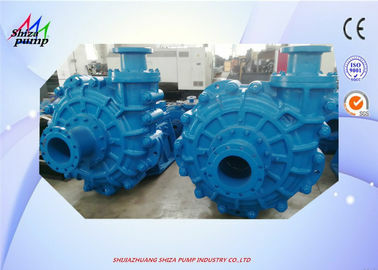 250ZGBwear-resistant slurry pump belongs to ZGB(P) series slurry pump. 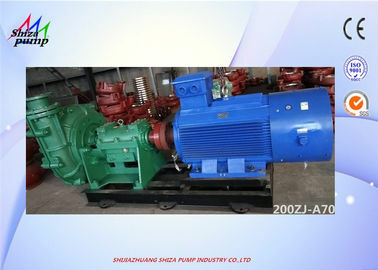 It is horizontal, single-stage, single-suction, cantilever, double-shell, centrifugal slurry pump. ZGB and ZGBP slurry pumps of the same diameter The overcurrent components are interchangeable and the external dimensions are the same. The transmission part of ZGB(P) series slurry pump adopts horizontal open type thin oil lubrication bracket, and has two sets of internal and external water cooling systems. Single stage or series one stage adopts impeller and packing combined seal. 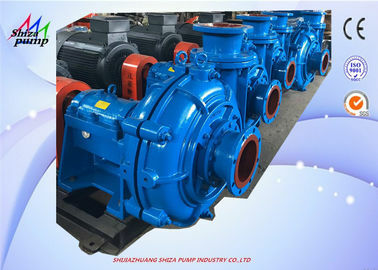 The design of this series of slurry pumps is mainly to meet the development of electric power, metallurgy, coal and other industries, and to the characteristics of ash removal and slurry transportation conditions. Multiple stages can be used in series within the permissible pressure range, which allows a maximum working pressure of 3.6 MPa. 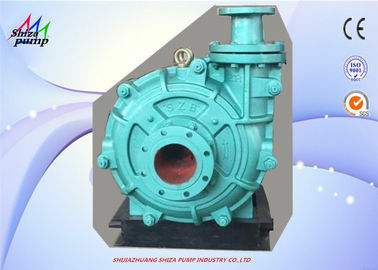 ZGB slurry pump, except for the pump head part (including front and rear pump casing, volute casing, front and rear guard plates, impeller, etc. ), the rest of the structure is similar, using the same series of transmission parts, the pump head part, the shaft seal part And the transmission part, respectively, describes its structural characteristics. 1. ZGB slurry pump shaft seal part: shaft seal has three forms, auxiliary impeller shaft seal and packing shaft seal, mechanical seal. (1) Mechanical seal: For the working condition that is not suitable for the above two shaft seals, mechanical seal is adopted to reduce the number of maintenance of the shaft seal part. (2) Packing shaft seal: The packing shaft seal structure is simple, the maintenance is convenient, and the shaft seal water is needed. For the working condition which is not suitable for the shaft seal of the auxiliary impeller and the working condition for pumping, the packing shaft seal can be used. 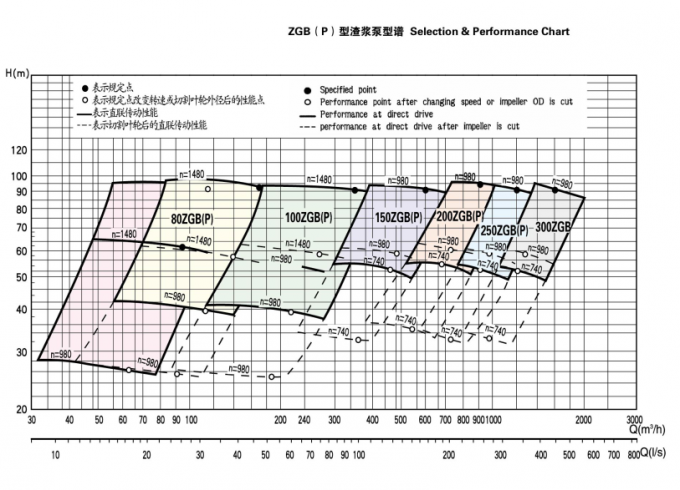 (3) Sub-impeller shaft seal: Single-stage pump or multi-stage series third-stage pump when the positive pressure of the pump inlet is not more than 10% of the pump outlet pressure value, the auxiliary impeller shaft seal can be used, and the auxiliary impeller shaft seal has no Dilute the slurry, the sealing effect is good and so on. 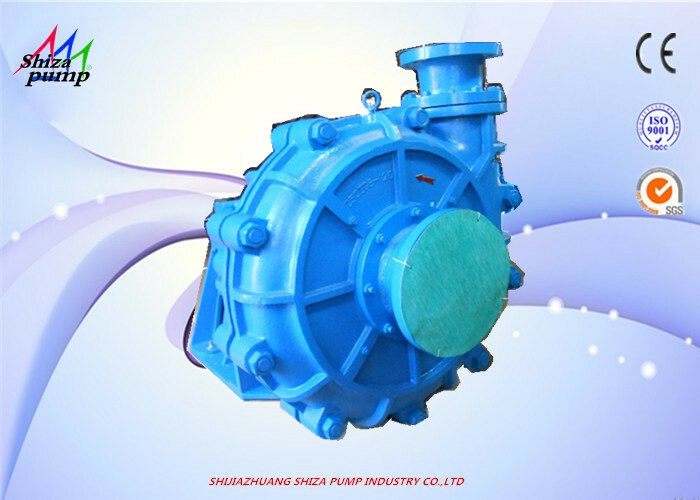 2, ZGB slurry pump pump head part: ZGB series slurry pump is a double pump shell structure, namely the front pump casing, the rear pump casing and with a replaceable overcurrent part (including impeller, volute, front guard, Rearguard). The front and rear pump casings are made of gray cast iron or ductile iron according to the working pressure. They are vertically opened and bolted. The rear pump casing has a stop and bolts connected to the bracket. The discharge port of the slurry pump can be installed at eight angles. The front and rear covers of the impeller are equipped with back blades to reduce leakage and improve pump life and efficiency. The inlets of all types of pumps are horizontal, and the pump rotates clockwise as seen from the transmission direction. 3. 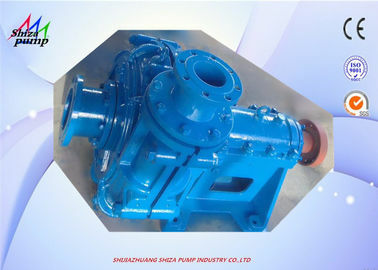 Transmission part: ZGB slurry pump adopts the same series of transmissions, including bracket and bearing assembly. The pump shaft has large diameter, good rigidity, short cantilever, and will not bend and vibrate under severe working conditions. The bearing adopts single row cone. Roller bearing and deep groove ball bearing can be used to withstand the axial and radial load of the pump. The bearing is lubricated with thin oil. The bearing body has sealed end caps at both ends, which can effectively prevent the slurry and other dirt from entering the bearing. 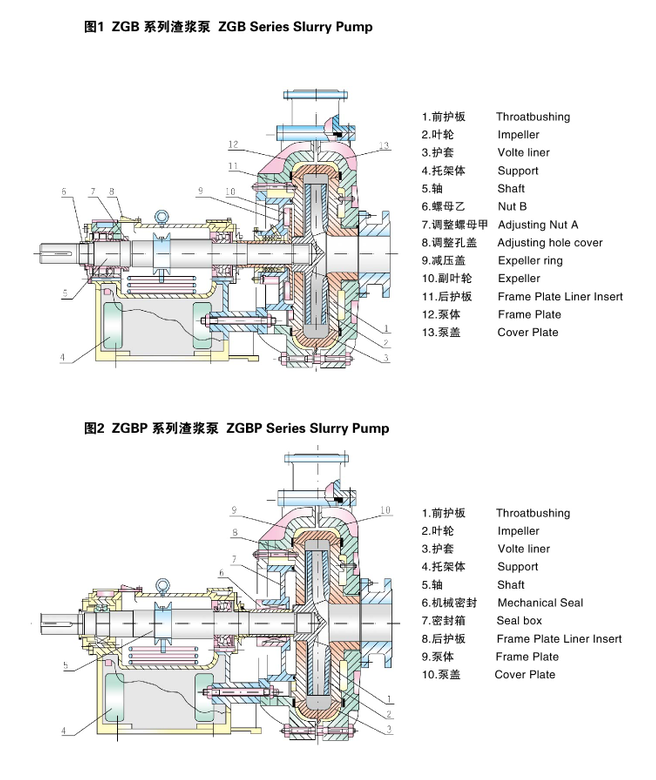 ZGB slurry The pump is provided with two hose joints in the bearing body, which can be connected with the water source to cool the bearing chamber, so it can work under high ambient temperature to ensure the safe operation of the bearing and has a high life.